Norwegian Translations, Translation Norwegian to English, Norwegian English Dictionary, Dictionary Norwegian, Norwegian English Translation, Norwegian Translator, Translate English to Norwegian, Learn Norwegian, Norwegian Language, Norway Language, Norsk Kurs, Norskkurs, Norska, Norsk språk, Norwegian to English, Norwegian phrases, Norwegian Characters, Letters, and Fonts for PC. Language Courses. Norwegian to English Dictionaries. Norwegian Translations. Norwegian to English German Estonian Hungarian Spanish Portuguese Arabic Persian Urdu Turkish Dictionaries and Translations Free Online. Translate from Norwegian. Norsk Test. Sami Languages. There are 3 official languages in Norway: Bokmål, Nynorsk, and Sami. For more background information about these languages, you may find the Norwegian and Sami articles at Wikipedia useful. Norwegian Letters - Teaches you the command for how to obtain Norwegian letters on a PC. 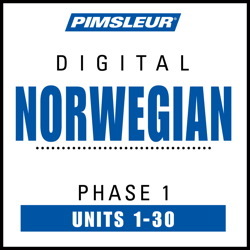 NorWords - Popular Norwegian language course with online samples. Sons of Norway - "Norwegian in 5 Minutes a Month." An introduction to Norwegian words and phrases. 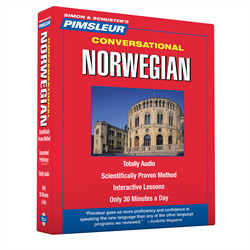 BBC Norwegian Phrases - A very brief introduction to Norwegian phrases in mp3 format. LEXIN - Norwegian to English dictionary. Freelang - Norwegian to English, English to Norwegian dictionary. Freedict - Small Norwegian to English, English to Norwegian dictionary. Websters Dictionary - Small and very commercial Norwegian to English dictionary. Heinzelnisse - Norwegian to German dictionary. TriTrans - Norwegian - English - Spanish dictionary. Wiktionary - Ever-growing collaborative multilingual dictionary. Ordnett - Dictionary to and from Norwegian, Portuguese, and Italian. NorvegMagyar - Norwegian to Hungarian, Hungarian to Norwegian dictionary. EKI - Norwegian to Estonian, Estonian to Norwegian dictionary. UiO ordbok - Norwegian dictionary from the University of Oslo. UiO nyordsbok - Norwegian dictionary for new words (with contextualization), from the University of Oslo. North Sami - English to North Sami word list with sound files. FreeLang - English to Sami, Sami to English dictionary with 5000 words. Sami grammar - Sami to English word list. Sami languages - Online lessons, word lists, and sound files. To qualify for a government-sponsored language scheme for foreign residents in Norway, you must have obtained a residence permit valid for more than 3 months and be employed by a Norwegian (not foreign) company.